Do you ever wonder how some companies can scale to over $100,000,000 in annual revenue with less than 20 hours per week spent on their Ops? I've had at least one client that has been able to do exactly that. I've also had dozens of smaller clients who have been able to scale to multi-millions of dollars of annual revenue with under 10 hours per week spent on Ops. 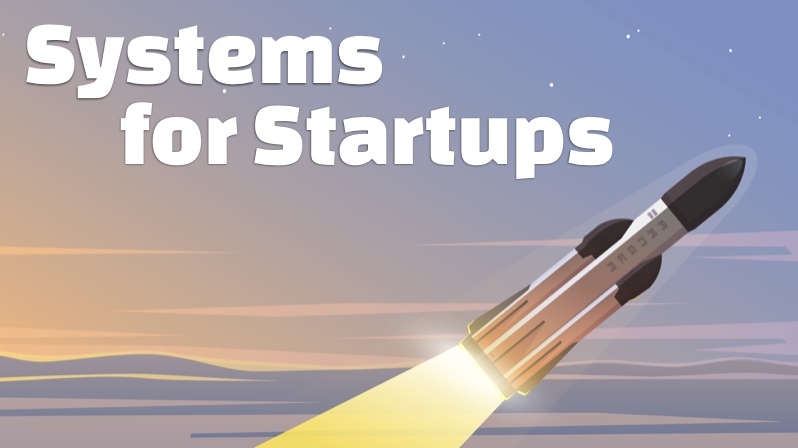 Unfortunately most of the 300+ startup systems I've reviewed greatly over-engineer parts of their systems while leaving other parts critically under-engineered. The result is overly complex systems that require a ton of maintenance, yet are still open to huge risks. The example you're copying is from a system with different needs than yours. I can't tell you how many small-and medium-sized companies I've come across that use Netflix or Google as a model for their systems. They end up wasting a ton of resources trying to do things that only make sense at truly massive scale. Ultimately, they end up throwing away their competitive advantage and making it way less likely to ever coming close to the massive scale they're trying to emulate. The example you're copying is a copy of a copy of a copy. And that copy is 20 years old. News flash: the Ops world has changed a lot since then! In my consulting I often come across modern companies making decisions that would've only made sense in the 1990s. Insanity! The example you're copying is marketed as "modern" or a "best practice" despite being neither. There are certain phrases that engineers are suckers for: "modern" (don't want to be old-fashioned! ), "best practice" (don't want to be worst-practice! ), and even "open source" (that makes it totally free with no vendor lock-in right?! No? Uh-oh). It feels right (even when it's not). When a high-status company has done something, then it feels like you get a little of that status by doing the same thing. It's easy to justify doing that thing because Some-High-Status-Company also did it. It makes the right ways feel wrong. There's so much momentum for the defaults that often when I show engineers how to do something far simpler and cheaper, it will just feel "wrong" to them. They don't realize that much of what they feel comes from the marketing of software vendors, infrastructure companies, and Ops consultants that push their own preferred ways of doing things. Those guys may be acting in good faith, but they have a huge disincentive in you having simpler systems. In nearly every case it means less revenue for them. The effectiveness of your systems is NOT measured in feelings! That's what this training program is about: learning how to get beyond the alluring, yet painfully slow defaults and instead use High Velocity Ops. 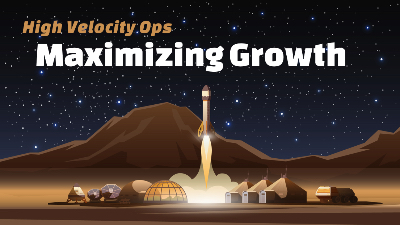 With High Velocity Ops, instead of copying from the examples of others, we start from the foundational First Principles, and from there, learn the strategies for building extremely simple, robust, low-cost systems. 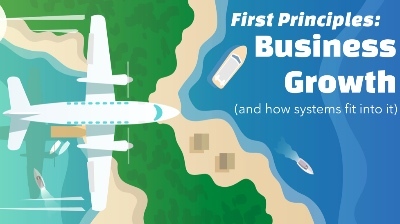 The systems engineering field is still in its infancy. Many "expert" systems engineers are encyclopedias of low-level technical knowledge, but don't have a grasp on the key fundamentals. 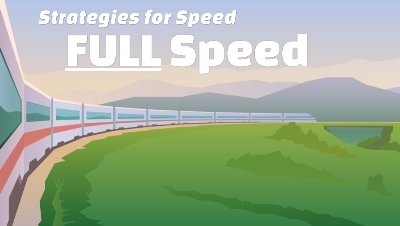 And it's those fundamentals that make the difference between speed and excruciating sluggishness for business growth. 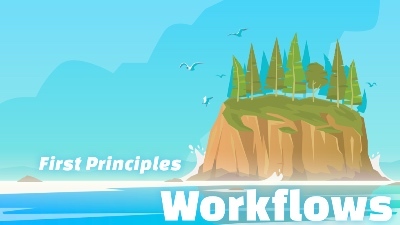 The best way I've found to teach modern systems for maximizing business growth is to start from the basic foundations and work up from there. "First principles is kind of a physics way of looking at the world. You boil things down to the most fundamental truths and say, 'What are we sure is true?' ...and then reason up from there." Historically, battery packs cost $600 per kilowatt hour. People assume that's just the way it is. But, if you look at the basic elements of a battery pack, you see that it is just a combination of elements like cobalt, nickel, aluminum, carbon, and polymers put in a sealed can. However, if you look at the costs of those individual materials and add them up, it comes to only $80. So, then it's just a matter of coming up with a clever way to combine those materials — then you can create a dramatically cheaper battery pack. 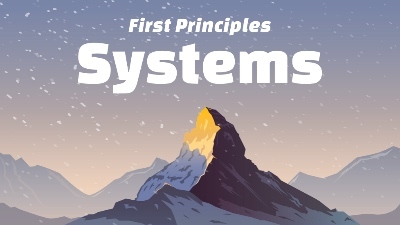 The advantage of First Principles is that it cuts through all the outdated traditions, zealotry, and hyped-up fads around systems. Without building from First Principles, there is often a lot of, "But some Unicorn company did it this other way!" or, "But so-and-so expert said this one thing!" Using First Principles establishes clearly what you need and what you don't. 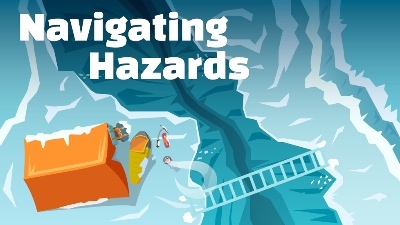 Even engineers who are considered technical geniuses fall into these traps. They get caught up chasing every new fad and adding it to their systems. Despite their technical prowess, if you look only at the business metrics of their systems, these technical-marvels-of-waste are indistinguishable from incompetence. 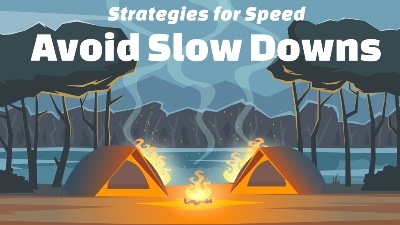 Any sufficiently technical engineer can set up systems that wastefully drag along at 5 to 50 times slower than needed. That is neither rare nor valuable. Lots of people do that. It's sadly quite common in our industry. This program prepares you to be one of the most powerful engineers when it comes to maximizing your systems for the fastest business growth. This is very rare and very valuable. It will benefit you throughout your career whether you're an early engineer at a new startup, a CTO running an engineering team at a larger company, or a founder of your own venture. While it's impossible to estimate exactly, since it depends on your scale and business situation, this program can save you and your company thousands of engineering hours and millions of dollars. The sooner you get started, the sooner you'll have the power to boost your systems for speed and create an advantage over your competition. Oh, and not to mention, free up your own time for more interesting projects. Be the first to know when enrollment opens. Sign up below and I'll keep you updated! Am I a good fit for this? If your top priority is creating great systems that deliver on the most important business metrics for your company, then yes! Only care about the technology and ignore how it impacts the success of their business. Can't break from tradition and must always follow the crowd, no matter how slow they're going. Are addicted to heroics and must keep their systems in a constant state of adventure/peril so they can be the perpetual hero. 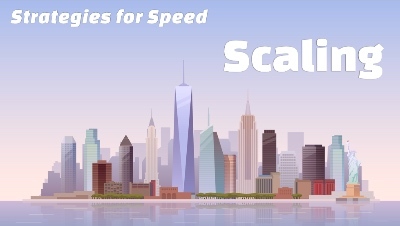 What scale do you cover? This program covers scale from the very early seed-stage startup to companies with annual revenue up to $1B. 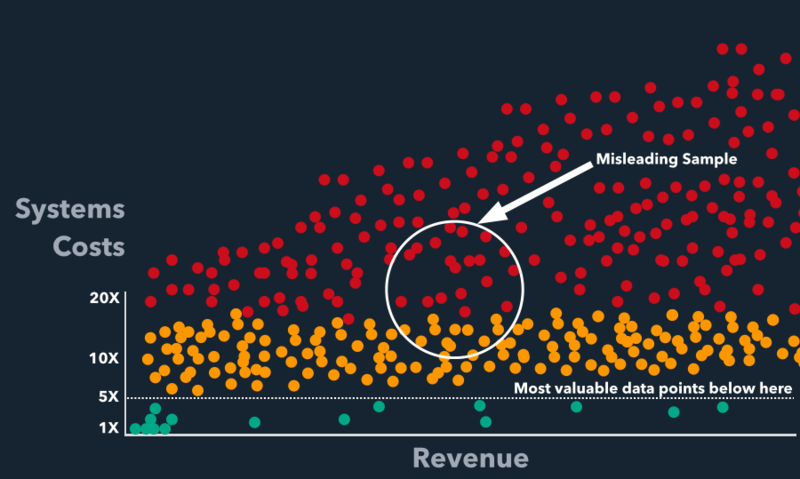 Of course, revenue is a very loose indicator, but it will be accurate in most cases. We don't cover scale that requires building your own data centers, etc. What if the program isn’t for me? Can I get a refund? Absolutely. You can sign up for the program and get a full refund if you cancel before the last session. No questions asked, no hard feelings — just a fair refund if it's not for you. How long is it and how is it delivered? About 7 hours of instruction and 2 hours of group systems consulting delivered live via online video (~9 hours total). We break the instruction up into sessions over several days. I've been lucky enough to learn from a lot of data points. I've been doing systems speed-up projects for over a decade. I've worked formally for over 120 clients and have completed over 200 contracted projects along with several hundred informal systems reviews along the way. Many of the paid gigs were short-term automation planning projects when I offered an automation "Jump Start" package. A couple dozen engagements were longer-term training and support contracts. A few of my past customers: American Cancer Society, Ansible, Bravo, Brooks Brothers, CBS, CNET, Egghead, Elle, Google, Intuit, LexisNexis, Maxim, Mensa, New York Times, PacSun, Scribd, Showtime, Sony, Time, Town & Country, University of Maryland, U.S. Department of Defense, USA Today, Victoria's Secret, VMWare, Whole Foods Market, and Yahoo! Ultimately my engagements have been focused on setting up systems for maximum speed and reliability. I've been able to see over and over what works and what doesn't. What I teach is very light on theory. Instead, it draws on what I've learned from these hundreds of production systems. As you can see, most of these data points contain those red and orange dots which represent companies that are greatly overspending on their systems (by 5-50X). That overspending is mostly in engineering time, so when they could be completing a system project in 1 man-month, they are completing the project in 5 to 50 man-months. Those inefficiencies are very common —so much so, that many engineers believe they're the norm. They may have only seen a misleading sample of slower systems and so aren't aware of how much better systems can be. 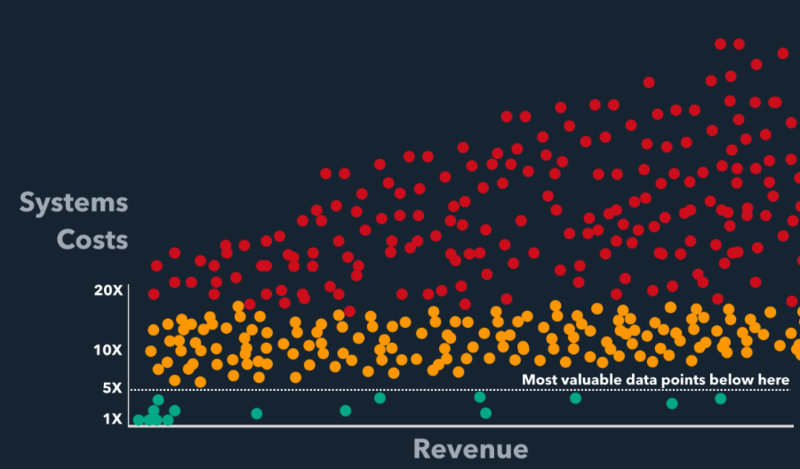 Fortunately, there are great counter-examples: the green dots which represent companies that are closer to the "ideal" minimal cost and maximum speed. An example of one of these is a client I had that was making over $100M in annual revenue (similar to Github's 2016 revenue). Their systems were so simple and robust that it took less than 10 man-hours per week to manage their systems. They had no dedicated Ops staff, the systems were just run part-time by an engineer who spent most of his time doing development (though he was a fully-qualified sysadmin). I've had probably a dozen clients with systems that efficient. Clients whose systems are so well-built, they take very little maintenance — so little in fact, that many other engineers find it hard to believe it's even possible. Of course, different systems have different needs and different legacy histories, so not all companies can have systems as lean as in the previous example. But, chances are, there are amazing opportunities to improve your systems and you can be the one to make it happen. Do I need a technical background for this program? Not really. 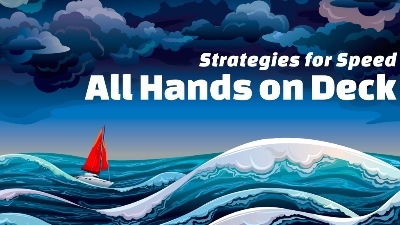 This is primarily a strategy training program. I've even taught this material to business executives and they fully understood it (though I did take a little extra time to explain some concepts like DNS, network encryption, etc). Approximately 95% of the program requires no previous technical background. For the 5% of the program that requires a bit of technical explanation, I'll let you know ahead of time the concepts you'll need to understand. It's not a lot. In my experience, it's the basic strategies where systems most often fail. 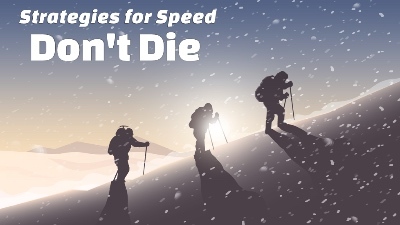 With the wrong strategies, no amount of technical brilliance will save your systems. That's why this program focuses primarily on getting the strategies and First Principles right. Absolutely. There are regular Q&A opportunities throughout the program. Can you help me with my particular systems? Yes —in the group consulting sessions I'll be happy to answer these questions. Keep in mind though that this isn't a deep technical program, so the questions should be primarily focused on the system strategies. If you'd like private consulting where we review your company's systems and create a customized speedup plan, see the Services section. I'm embarrassed about my systems. You don't need to worry about feeling embarrassed about your current systems when we work together. Your systems have gotten your business to where it is now. That's awesome just in itself. We won't worry about the past — our only aim is to evolve your systems to become even better at achieving your business goals. What software will I need to take the program? You will need a Flash enabled browser to participate in the training. The Chrome web browser comes with Flash built-in, so it's an easy option. It's also available for Mac, Linux, and Windows. Download it here. For the nitty-gritty details on the system requirements for attendees on AnyMeeting (the platform we're using) —take a look here. To test your setup, use the AnyMeeting System Test. I do not share system details associated with the company's identity without written permission or unless the details are already public. I will share generalized system stories anonymously but I always change any details that could possibly be used to identify the company. I do share the company names of my notable past corporate customers in a general list unless I've made a special agreement with them beforehand. Will you sign my NDA or other contracts before working together? Sometimes, but I have a significant surcharge fee for this since I need to take time to review it and have my lawyer review it, etc. Contact me with the details and I'll provide you a quote on the fee. I'm still not sure if this is for me. How can I learn more without taking the program?